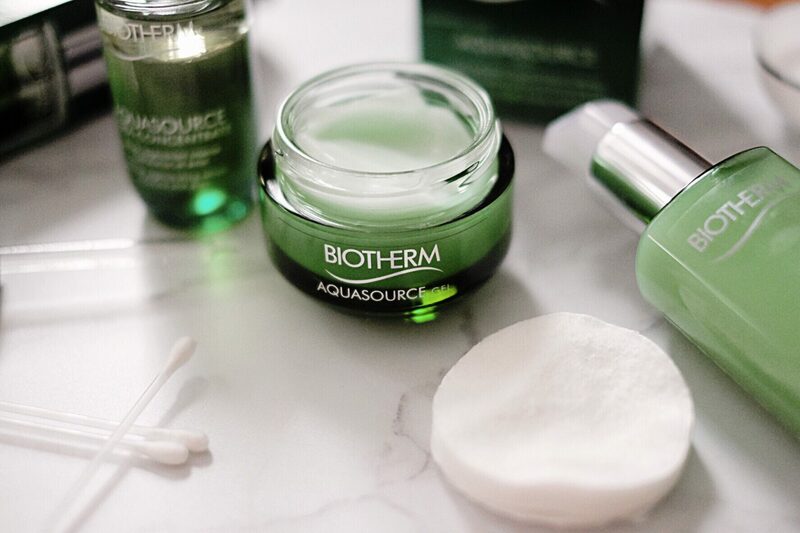 Everybody who has been following me on my instagram knows I have become a huge fan of the Aquasource products by Biotherm. And by ‘huge fan’ I simply mean obsessed. I can’t imagine starting my skincare in the morning differently. Aqua source isn’t a new product but Biotherm did release some new products within the range. That’s why I’m here, writing this article for you. Let’s get started! Aquasource is Biotherm’s big star product line. Now they came out with 3 new hydrating products, so intense and repairing that the skin get’s an immediate natural glow. It’s a combination fo hydrating Medicinal Nasturtium & healing Life Plankton. Aquasource Daily Regenerating Moisturizing Gel: after 20 years, this iconic product received a new and unique gel texture with a healing effect and a stronger, visible glow. 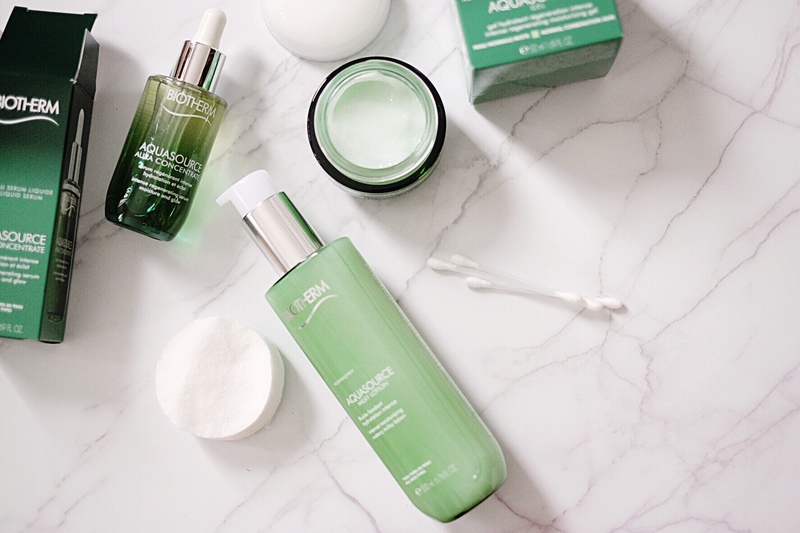 Aquasource Aura Concentrate: a new two-fase formula for normal to dry skin. 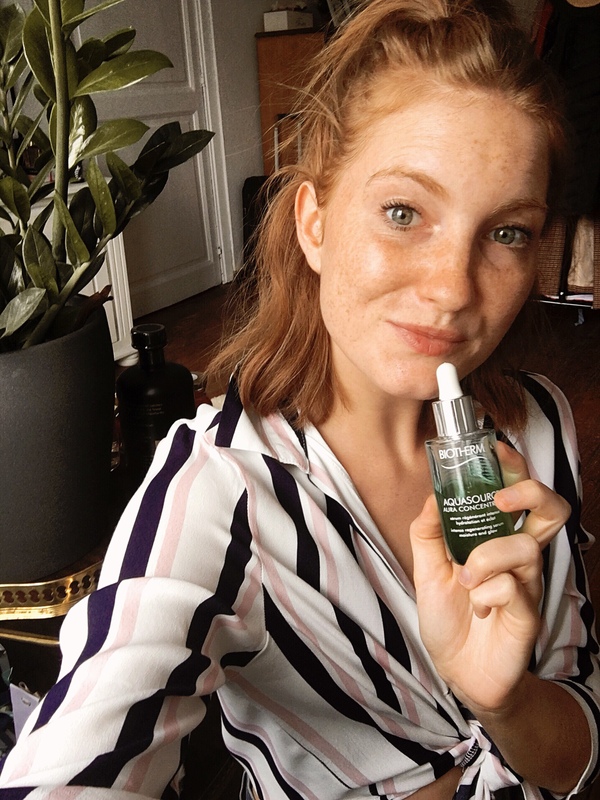 For 90% made out of natural ingredients and with a 10 times higher concentrate of Medicinal Nasturtium for a quick and intense effect on the skins fluid balance and glow. 85% water fase: 100% natural ingredients such as Life PlanktonTM water & medicinal Nasturtium. Aquasource Milky Lotion: Biotherm’s first water-break-milk-lotion that restores the balance of the skin and perfects the hydrating and glow-routine. 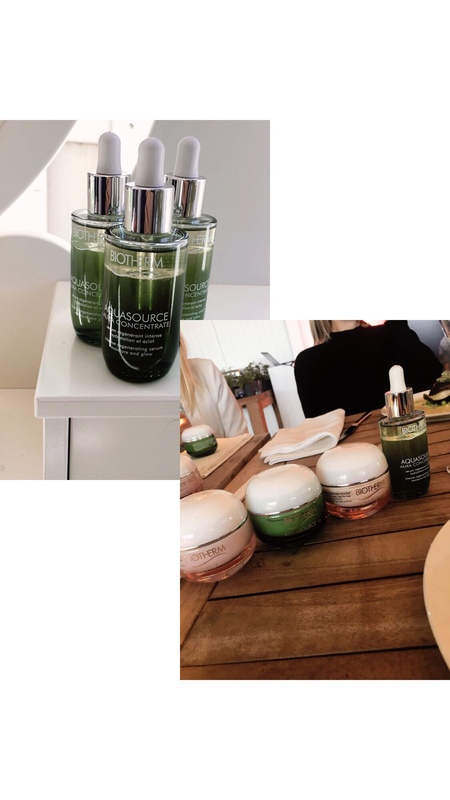 While I was getting to know the products during my visit at the Biotherm Summerhouse in Antwerp, I already knew these products would be amazing. 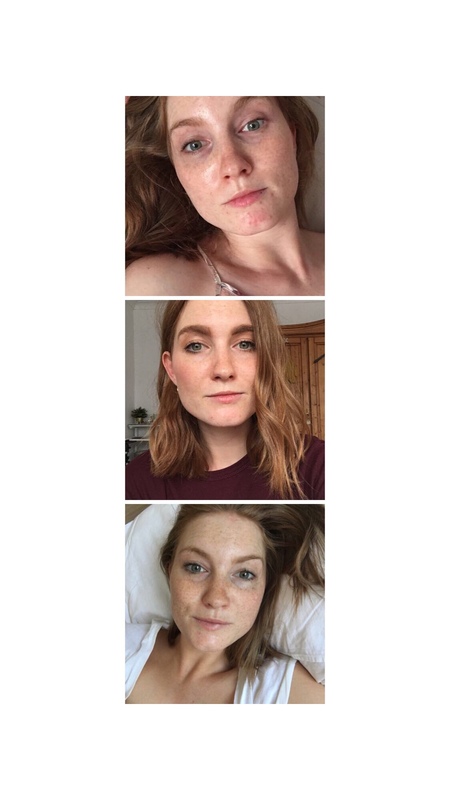 You, obviously, never know how your skin will react to new products but it all seemed super promising. They showed us a series of images and a little time laps ‘make-under’ video, staring the most beautiful model Candice Swanepoel. Biotherm challenged all the people present to try their 10 day no makeup challenge, using only the Biotherm Aquasource products. They promised us that after 10 days, our skin would be radiant and clear. No need for makeup because we would feel confident with our own ‘face’. After doubting for some while I finally decided to take the jump into the ‘unknown’ world of make-upless faces. Before telling you how it went, I’m first going to show you a before and after using Biotherm Aquasource. As you can see, my skin got from bad to clear in no time. 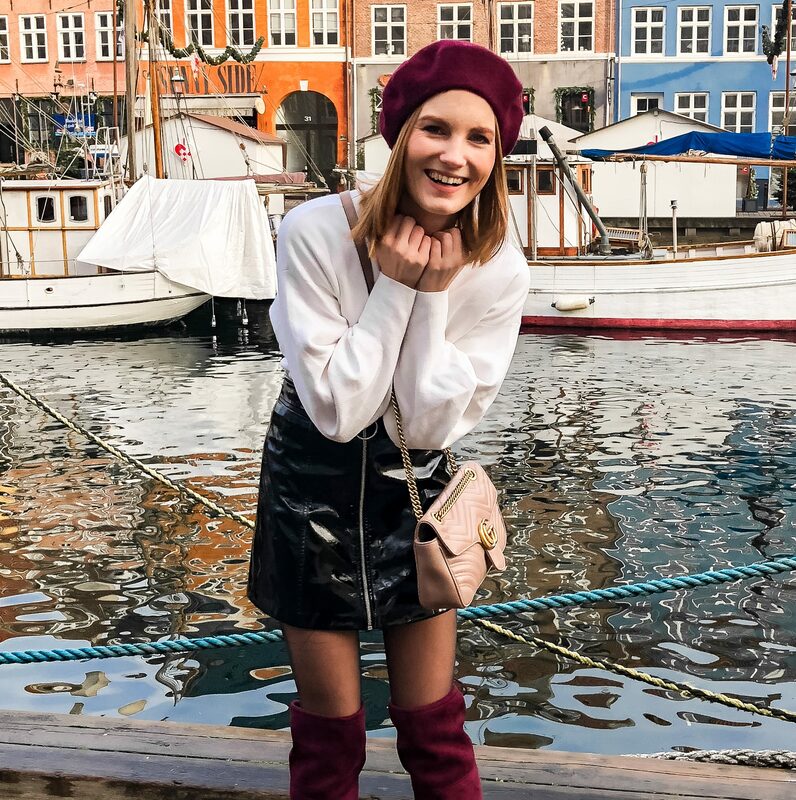 It gave me a super radiant glow without looking greasy. I can’t tell you how much I enjoy wearing no makeup at all. And for me, it all became possible after using Biotherm Aquasource. It took a bit longer than 10 days for my skin to become like this but it’s so worth to try it out. I’m hooked and can’t see myself using any other product at the moment. Tap the product into the skin from forehead to jaw. This stimulates the skin tissue. Light pressing golf movements, using the fingers, from the middle of the face to the jaw and upwards to the forehead. This gives a healthy glow & improves the inner circulation of static fluid. Same usage as the daily moisturizer.